The scissor lift and aerial lift training, will increase your productivity while reducing your risk. 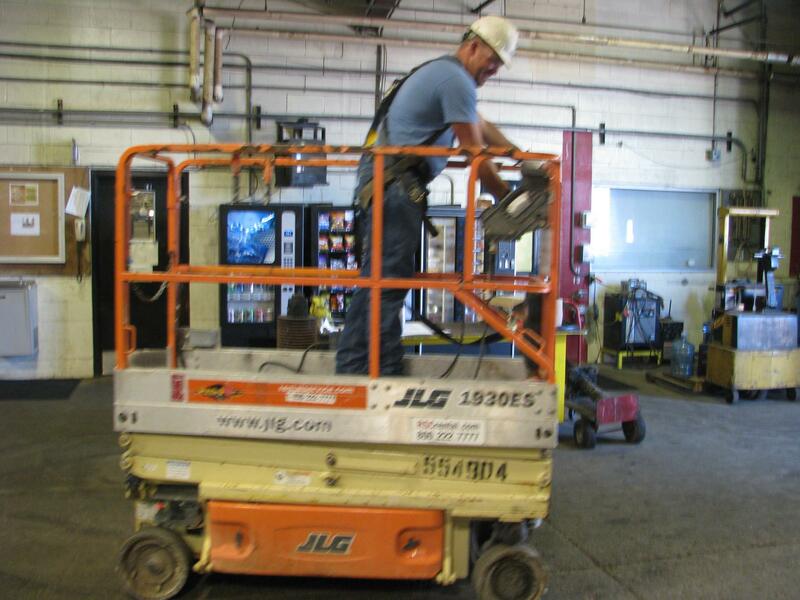 OSHA requires scissor lift training under OSHA 29 CFR § 1926.454. Employers must have each employee who performs work while on a scissor lift trained by a person qualified in the subject matter to recognize the hazards associated with the type of scaffold being used and to understand the procedures to control or minimize those hazards. Retraining is required when changes occur at the work site, or changes in the types of scaffolds, fall protection, falling object protection, or other equipment present a hazard, about which an employee has not been previously trained. It's also required when inadequacies in an affected employee's work involving scaffolds indicate that the employee has not retained the requisite proficiency or every 3 years. You and/or your employees can be certified in about 6 hours (depending on if this is the employee's initial training or a 3-year re-certification). It is the most cost-effective training that you will find anywhere. OSHA recommends workplace safety training for a safe and healthful work environment. Our training is 100% in-house at your location and covers specific OSHA regulations and requirements (29 CFR 1910.178). A combination of interactive presentation, power point presentation, models, and discussion make this course the best in the area. It covers lift truck basics, pre-operation inspection, handling characteristics, load handling, balance and stability, and fueling procedures. The course is taught by a qualified professional instructor and includes handouts to prepare for the final exam. The four-hour initial training is $140, and the three-hour re-certification required after three years is $130. A minimum of two people are required for each class. An original laminated certification card and your certificate of achievement will be mailed within 5 to 7 days. We offer a 100% money-back, satisfaction guarantee. This section supplements and clarifies the requirements of § 1926.21(b)(2) as these relate to the hazards of work on scaffolds [scissor lifts]. (a) The employer shall have each employee who performs work while on a scaffold [scissor lift] trained by a person qualified in the subject matter to recognize the hazards associated with the type of scaffold being used and to understand the procedures to control or minimize those hazards.